Skunk digging and almost got under the house! 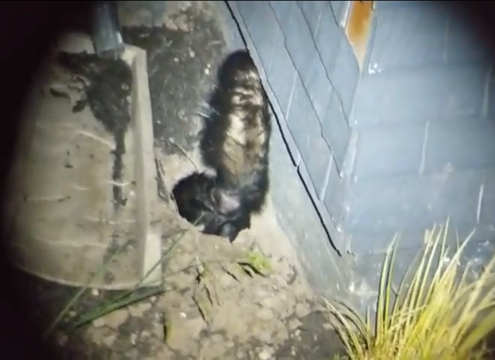 Why Do Skunks Dig Under Homes, Decks, Or Sheds? 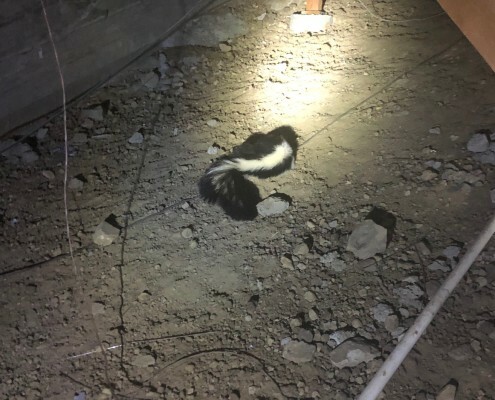 Skunks have one thing on their minds when digging under homes, decks or sheds: an area to give babies peacefully and away from mother nature’s cold factor. Crawlspaces, low decks, and sheds can provide a perfect environment to raise skunk kits. Skunks only have one option to look for a nesting area and that’s on lower ground. Their neighboring raccoons and opossums are well adapted to climb into trees, attics and other hard to reach places to nest. So, skunks are primary suspects to live under homes, sheds and decks. Skunks have short, stubby legs which give them power to dig under foundation of at least 2 feet deep to access crawl spaces. 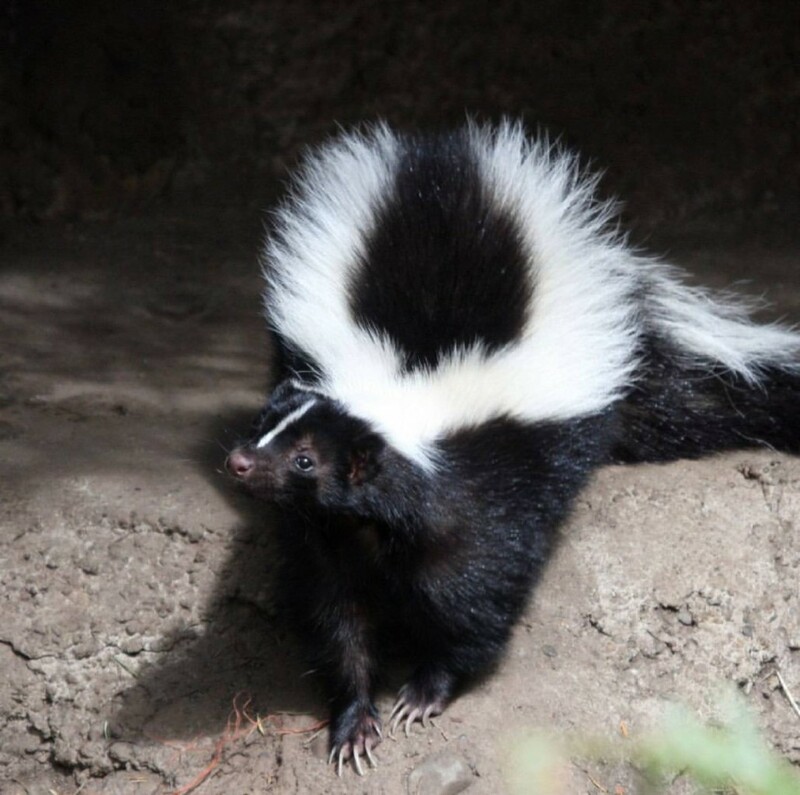 Don’t be surprised, even though you don’t smell a skunk, a skunk lives on your property. They’re discreet animals that always don’t smell unless they’re threatened. They’re often confused for other animals like possums and raccoons. Skunks digging under your home is something to pay attention to as they produce 5-10 babies per year. I have applied these methods to my client’s property many times with good results. But, ultimately, trapping a persistent skunk digging under your home will remedy the problem. Perimeter intrusion (Fencing, etc) – Your first line of defense is blocking this burrowing-critter from entering. Fences can help deter skunks only if the kickboard digs into the earth and only if the soil is hard enough to prevent digging. Attaching hardware cloth (metal screen) on the lower outside of the fence and “L” shape it out will prevent skunks from digging under. At least 8 inches deep and 2 feet out. Home foundation – Determine how deep your home’s concrete foundation is into the earth. If there’s only 2-6 inches from soil to sidewall (stucco, side paneling, etc) you’re good shape. If your side wall is substantially above the soil line then skunks have a good chance to dig under your concrete foundation wall and enter the crawlspace. Laying 4-6 inch river rock, hardware cloth, pavers or concrete along the suspect areas around your home’s foundation will prevent all animals from digging into the crawlspace. 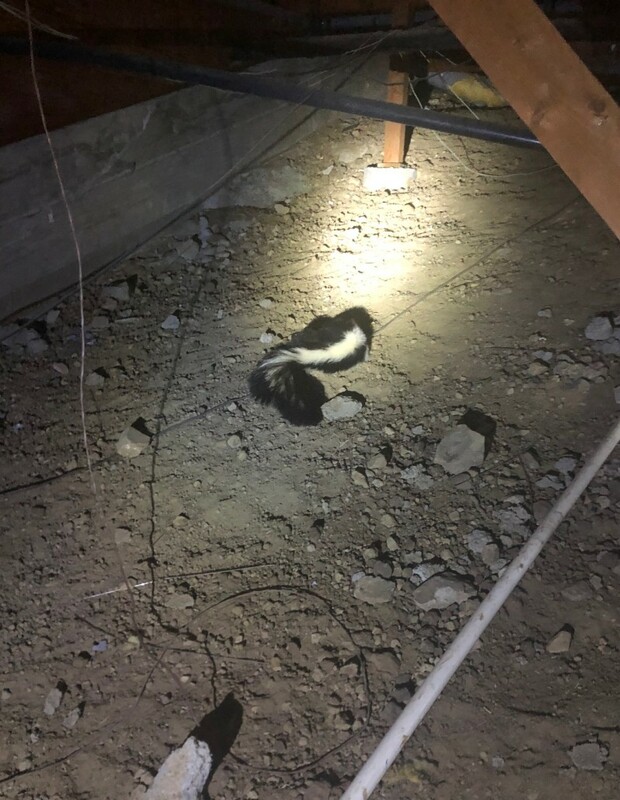 Skunk Trapping– It is advisable to hire a wildlife operator as the average homeowner will lack the proper equipment to trap and remove the animal after it’s been trapped. Plus, relocating (illegal in California and other states) can usually end up with the animal desperately trying to return only to be hit by a vehicle. These methods I have seen many clients use only having to call me for a better solution. Ammonia– Unfortunately skunks pay no mind to ammonia looking for areas to nest. Ammonia replicates urine and skunks are pretty confident looking for territory to own. 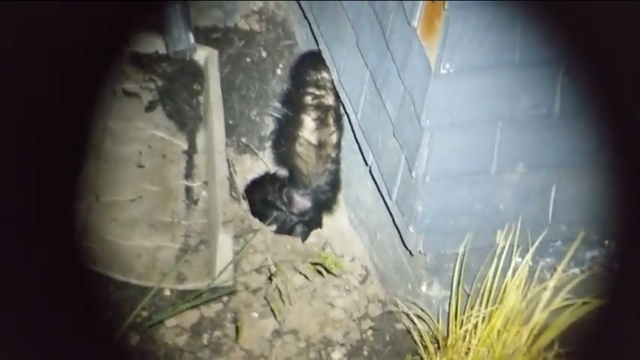 Motion-sensored sprinklers– These devices will startle skunks but these animals are usually very confident and they will return as they are quick learners. Coyote urine– If you live in urban areas where coyotes are scarce and or don’t live, then these skunks do not recognize the predator scent which cause coyote urine not to work. Fences– Skunks can dig under the fence. Two types of skunks are found in California. The striped skunk (Mephitis mephitis) is by far the most common in Contra Costa County. The striped skunk is about the size of a house cat (about four to 10 pounds). It has long black fur with two broad white stripes down its back. The head is triangular and the tail is large and bushy. The spotted skunk (Spilogale putorius) is a smaller animal and is uncommon in our county. The District’s skunk program is designed to reduce the risk of rabies transmission to Contra Costa County residents. 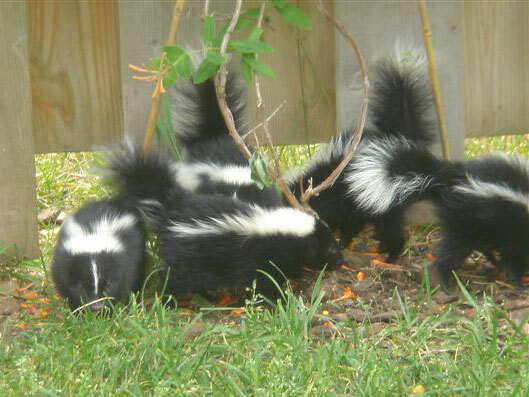 The risk increases when skunks establish a den in close proximity to residents. 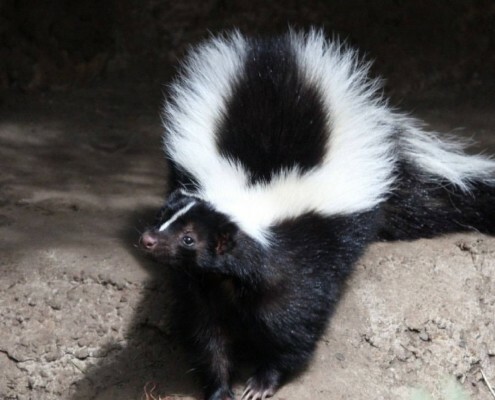 When skunks are not in close proximity to humans, the risk of rabies transmission can decrease, while skunks can be beneficial to the environment. Skunks are a natural predator of rodents and they will consume other garden pests including beetles, crickets and grubs. Skunks are mammals. They are best known for their ability to spray a strong musk which they use as a defense mechanism. This musk is expelled from two scent glands at the rear of the skunk’s body. They can spray several times with an accuracy of 10 to 12 feet. Skunks mate in January and February. Males are quite aggressive when competing for females. Bred females will attack males attempting to mate with them. This may cause the skunks to spray. The gestation period is approximately nine weeks. During this time, the female stays in a sheltered area, in a den she’s made. Occasionally, she will go out for food. Several females may den together in the winter, but the males are usually solitary. Young are born around June. A female gives birth to about six to 10 young and will produce only one litter per year. The young skunks stay with their mother learning how to hunt for food, usually going out on their own by mid to late summer.